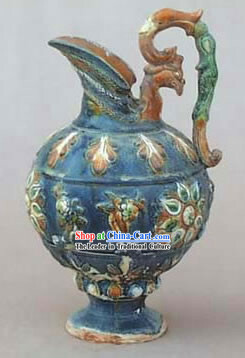 Three-color ware, or Sancai, was one of the greatest contributions of the Tang Dynasty. 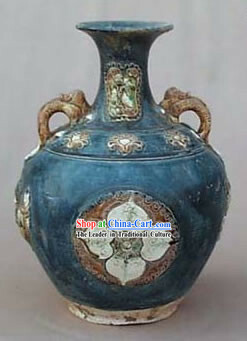 No other Dynasty before, and none since, have been so prolific in the development and production of this magnificent art form. 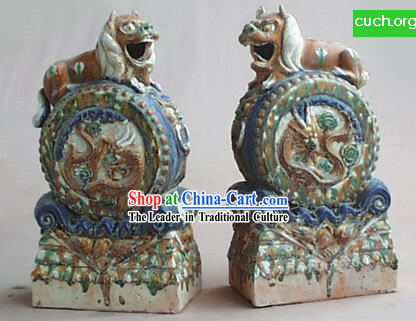 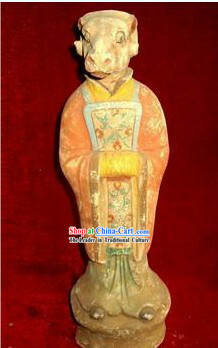 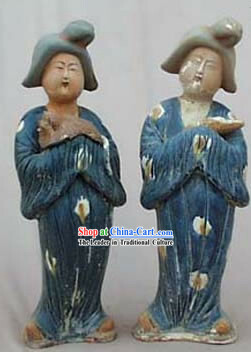 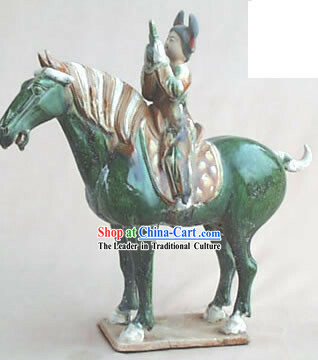 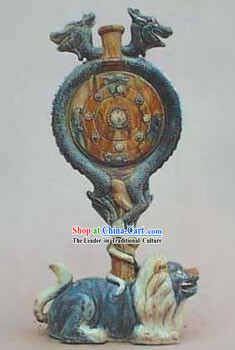 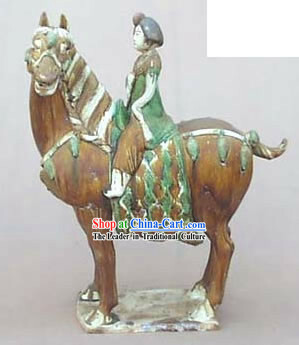 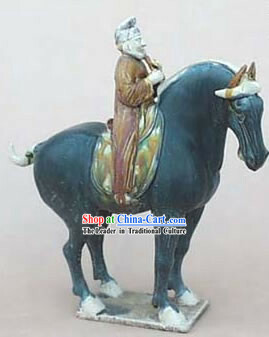 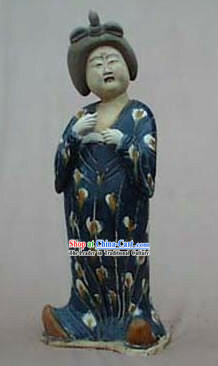 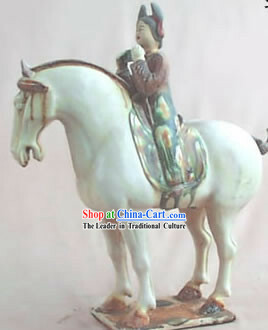 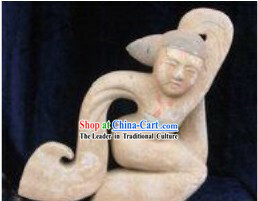 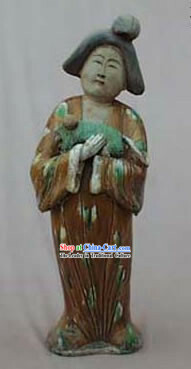 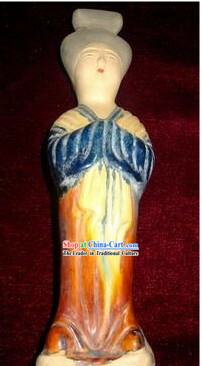 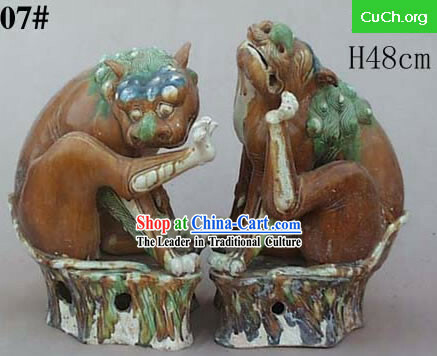 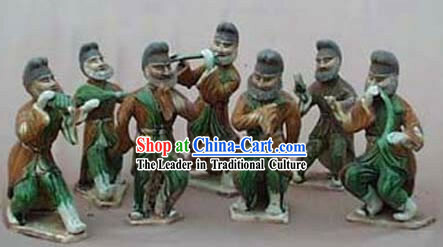 Many Sancai figurines as well as animals (predominantly horses and camels) were produced. 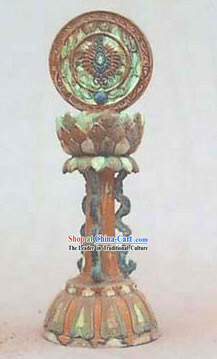 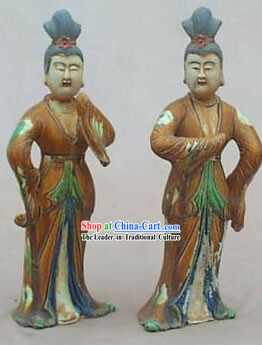 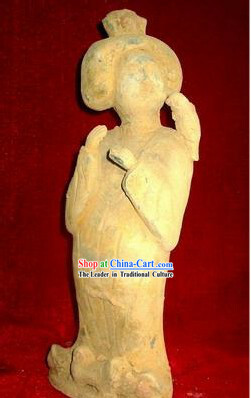 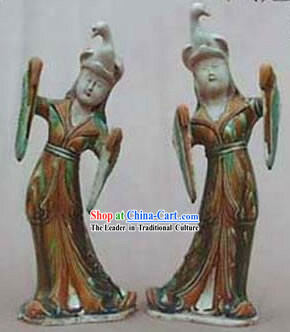 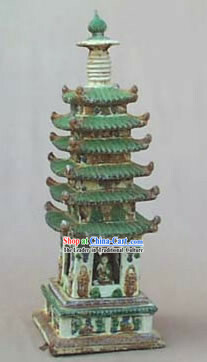 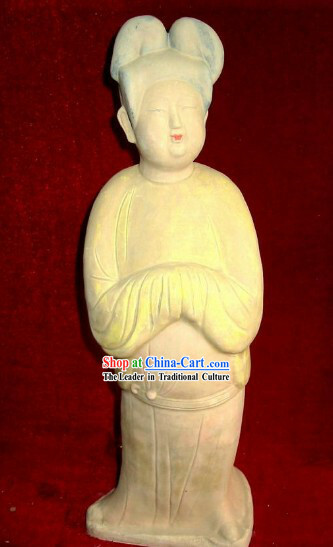 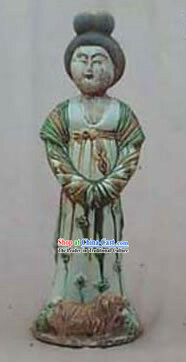 Sancai pieces have been found in many of the more affluent tombs of the Tang period. 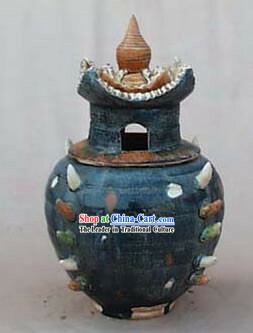 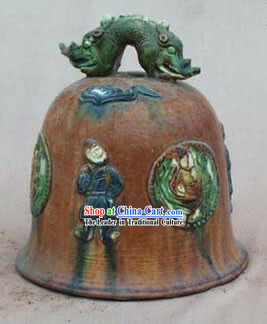 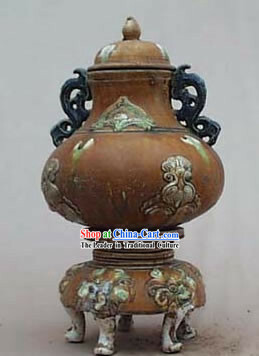 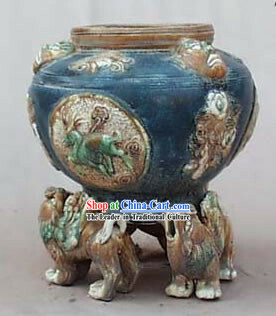 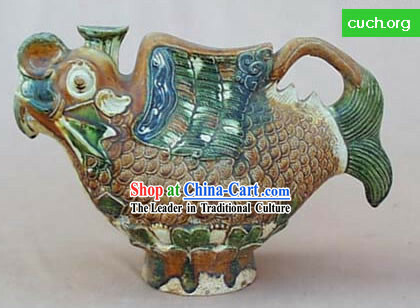 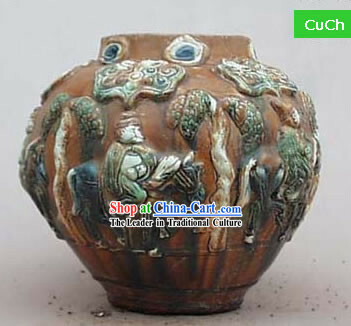 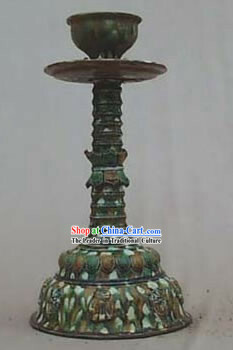 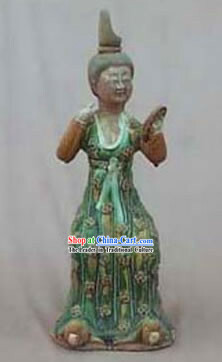 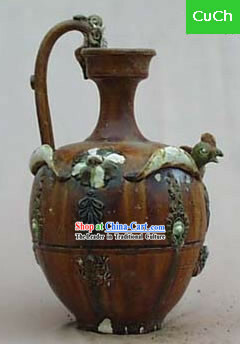 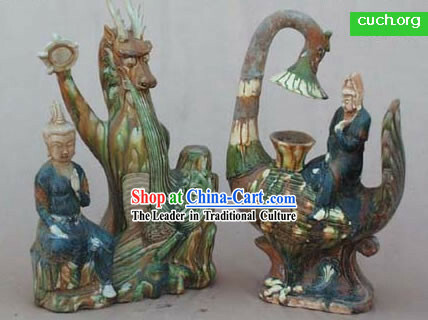 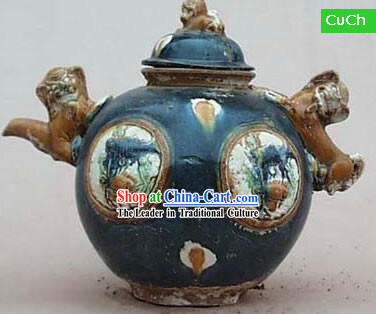 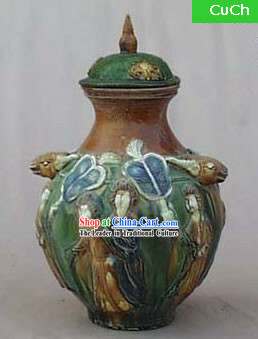 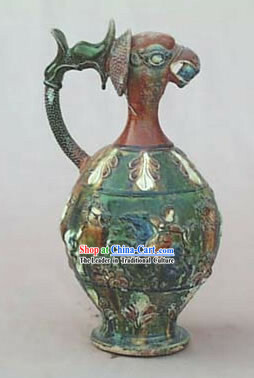 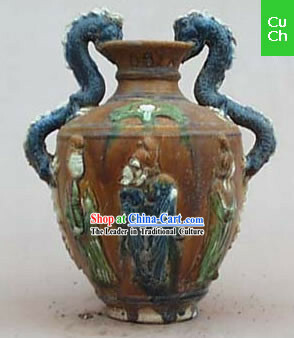 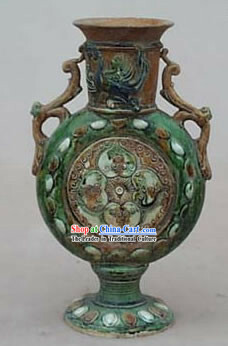 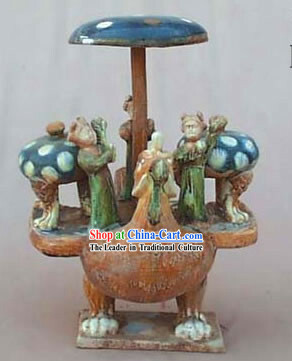 Tang Sancai (or three colored ware) is a polychrome lead glazed decorated pottery. 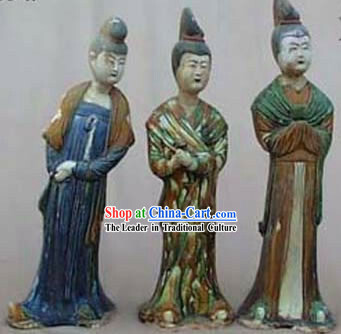 "Three-color " doesn't mean only three colors, but rather multicolored. 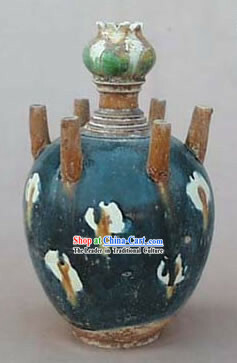 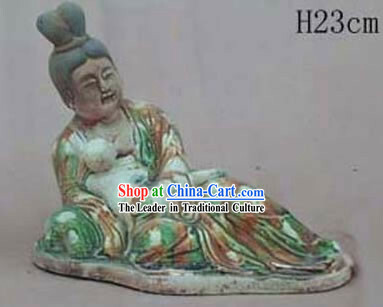 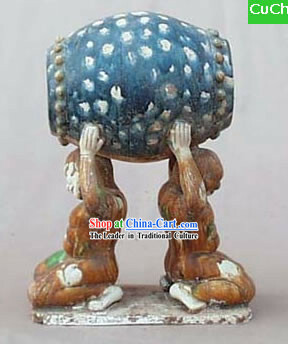 Tang artists in China were experimenting greatly with the mixing of various shades of glaze. 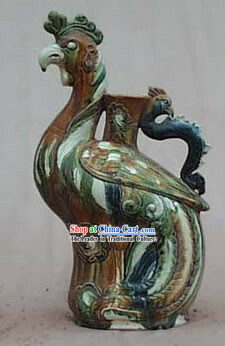 They seemed to share a fascination for the resulting color from these mixtures. 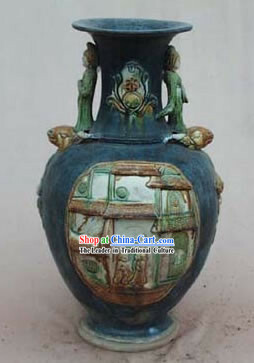 This Three-color glaze technique grew out of the monochrome lead glazes used during the earlier Dynasties.